Jason Han (left) is a resident in cardiothoracic surgery at the University of Pennsylvania in Philadelphia and Jack DePaolo (right) is a pediatrics resident. With Gov. Wolf's recent declaration of a state of emergency over the opioid epidemic, many physicians and hospitals must also learn how to cope with the ongoing crisis. Two medical residents from Philadelphia share their stories of encountering different sides of the opioid epidemic and how it touches them, their patients, and their colleagues. Telling a mother that her newborn is going to have to be transferred to the neonatal intensive care unit (NICU) because of drug withdrawal was one of the most difficult conversations I have had since starting my pediatrics residency. The physical harm to newborns is significant. Symptoms arise after the babies have been exposed to opioids in utero. Soon after being born, these infants experience agitation, fever, sweating, poor feeding, vomiting, and diarrhea. They are placed in the neonatal intensive care unit for days to weeks. Separated from their mothers, these infants suffer more than immediate symptoms of withdrawal. We always encourage skin-to-skin contact after birth because it improves breastfeeding outcomes, mother-child attachment, and even heart and lung function. Though hard to measure, some of these benefits are surely lost. Furthermore, at a societal level, opioid addiction can rip apart families, sometimes leading to placements in foster care, away from mothers whose addiction is too often criminalized and punished, instead of being recognized as a disease process and treated. In these sensitive and difficult encounters, I found myself reflecting on the totality of costs presented to society as we deal with the current opioid epidemic. The prevalence of this so-called neonatal abstinence syndrome (NAS) increased fivefold from 2000 through 2012. As I looked at the mother and the newborn, both victims of a systemic problem, I began to realize the dangers of this epidemic and how it was dramatically changing patient care and well-being. Though at the time I did not understand how vast the effects of this epidemic were, I would soon come to learn that it was everywhere across the hospital, from the NICU to the cardiac surgical operating rooms. "Seven heart transplants." The attending surgeon said that in just one week in December, our program had completed seven heart transplants. Then, just as we were having this conversation in the operating room, the attending surgeon received yet another phone call. "There may be an eighth one," he remarked, almost incredulously. "Eight? How many do we do in a typical year?" I asked. "About 50, but the opioid epidemic is really changing the number of available donors." Silence fell over the OR staff. Seven heart transplants meant that seven more lives were lost prematurely. What's more, this number was continuing to rise at an unprecedented rate. Prior to starting residency, I had been interested in the area of transplantation, an inspiring story that combines the feats of surgical pioneers and breakthroughs in medical therapy. During medical school, I used to accompany one of our surgeons who would go to other hospitals to procure donor organs to observe these operations firsthand. To this day these memories remain as one of the most convincing testaments to our connectedness as a society. While the circumstances behind the donors' deaths were tragic — to have organs suitable for transplant, donors must have been generally healthy people who lost their lives to an accident — their selflessness gave the recipients a chance to be reborn, and to return to their loved ones. I could not help but notice that our donor population was increasingly comprised disproportionately of young overdose victims in their 20s and 30s, no older than Jack, my colleague in pediatrics, and me. Night after night, while observing procurement of donor organs just outside of Philadelphia, we were struck by the sight of the donors' bodies. Though pronounced brain-dead from overdose, they otherwise looked as if they could have been sleeping, neither harmed by accidents nor weathered by age. All we could do was bear witness to the overwhelming tragedy. Deaths each year due to overdose have surpassed the peak death rate caused by HIV/AIDS in the United States. In 2016, more Americans died from opioid-related causes than died in the Vietnam War. If that is not shocking enough, we are on a trajectory to see those numbers climb to a peak of unknown magnitude. Pennsylvania continues to be particularly hard hit by this epidemic. In 2016, 13 Pennsylvanians died daily from a drug overdose. That number is up 37 percent from just one year prior. More than 900 of these deaths occurred in Philadelphia County and 78 percent of Pennsylvania counties have overdose death rates that are higher than the national average. Rates are highest among men ages 25 to 34, but the epidemic reaches across all demographics and geographic boundaries. This is not an epidemic that is conspicuous in hospitals, where people are covered in protective gear and units are quarantined. These are mothers separated from their newborn children too early or organ donors whose time had come far too soon. As providers, we constantly remind ourselves and our colleagues that opioid medications can be powerful instruments for good but can easily become very dangerous. One out of every 550 patients initiated on opioid medication succumbs to an opioid-related cause of death 2.6 years later. Providers must continue to prescribe opioids with caution. But most important, this epidemic demands systemic action. In January, Gov. Wolf declared it a state of emergency in Pennsylvania, an important step that will mobilize resources. As frontline physicians, we believe we need policies that heal, instead of punish, people in addiction. Now is the time to come together as a community to help our patients, and to treat the root cause of this epidemic while also providing the social supports that keep families together. Our shared experiences have taught us that this epidemic affects all of us. Once seen firsthand, the sense of urgency becomes palpable. The consequences of the opioid epidemic are observed by physicians, nurses, families, patients, and from the hospital wards to the city streets. Can you see what we see? 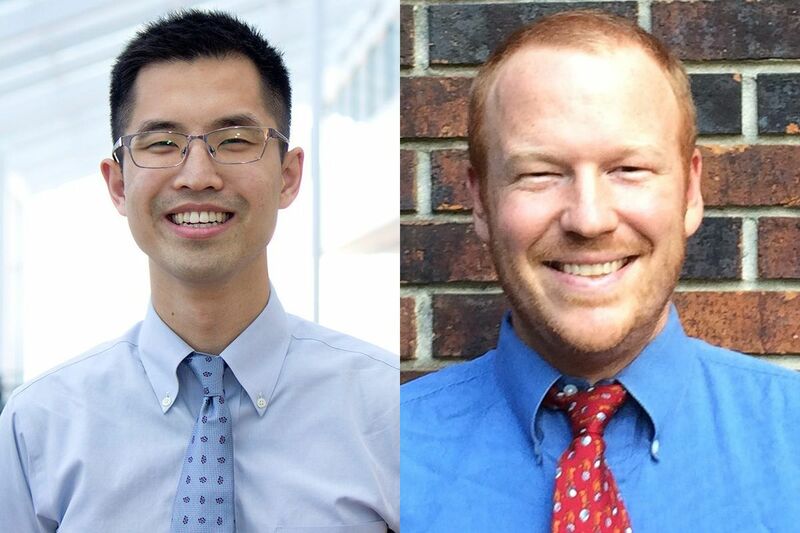 Jason Han, M.D., is a resident in cardiothoracic surgery at the University of Pennsylvania in Philadelphia, and Jack DePaolo, M.D., is a pediatrics resident.